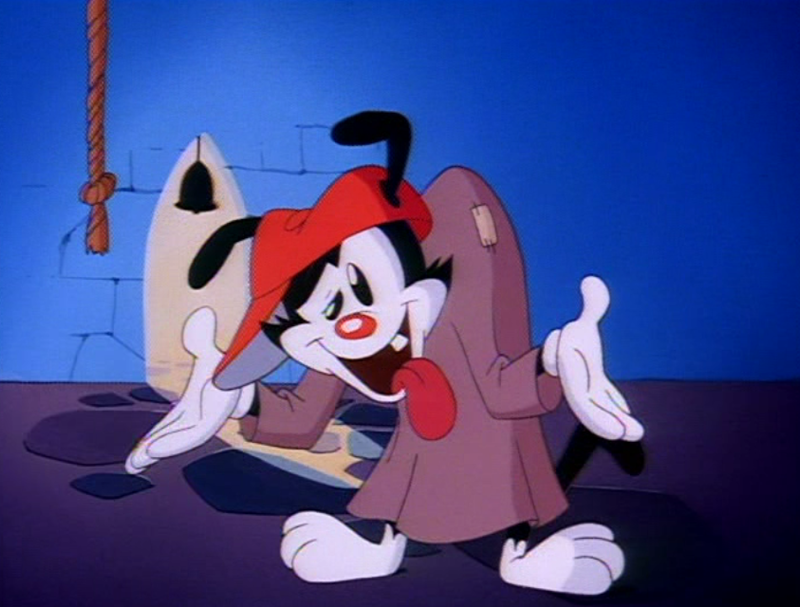 I’ve been a fan of Animaniacs since the begining, but like some many children a lot of the joke went right over my head. I was watching Volume 2 recently and I notice a wonderful little refernce to the 1923 version. Ok, so the opening has a line that is varied, this line has to end with an “Y” sound and one of these lines is “Where Lon Chaney” and the visual is Wakko is dressed as Quasimodo and not as Phantom of the Opera which is probably Chaney’s most well-known role. So point for the Hunchback.